The Kresge Foundation’s Rip Rapson is leading the charge for foundations to put more of their non-grant capital to work for social good. In addition to making grants, foundations can make program related investments (PRIs) which can take the form of below-market rate or even zero-interest loans, loan guarantees, or even equity investments. Some foundations, such as the Kellogg Foundation, are even using their investments for what they call “mission-related investments,” or MRIs, putting some portion of their corpus into investments that earn a market return but also further the foundation’s mission. MRIs are a strategy that has been modeled by the F.B. Heron Foundation and is slowly making its way into foundation practice. Rapson says that foundations “are motivated to extract the highest possible value from the resources at their disposal. It’s a moral issue, and it’s a question of efficacy.” We take this to mean that foundations should be—but unfortunately, too few are—motivated in this way. 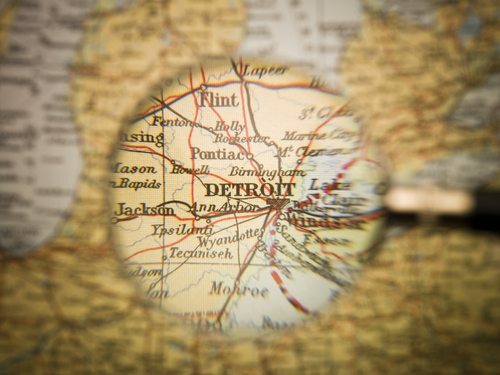 In Detroit, however, where investment capital is needed to help move a broken economy in new directions, foundation PRIs and MRIs make immediate sense. As we’ve written in the NPQ Newswire, Detroit philanthropist Phillip Fisher is working on the $50 million capitalization of Mission Throttle, a fund intended to invest in social entrepreneurs, and Crain’s Detroit reports that Fisher and his colleague are talking to the Office of Public/Private Partnerships at the Michigan Department of Treasury to examine possibilities of a Michigan social impact bond program. Observers have long been talking about how to mobilize foundations’ 95 percent in investment assets in addition to the five percent they normally allocate to grants and related administrative costs (Note: PRIs count toward a foundation’s five percent minimum payout requirements, but MRIs do not). The progress hasn’t been fast. Rapson explains that PRIs don’t necessarily work for all foundations, citing capacity, discipline, and risk tolerance as factors. To us, Rapson’s point sounds like a question of foundations’ capacity for underwriting loans and equity investment. Typically, foundation staff are grantmakers; they underwrite organizations and projects for grants, but they don’t underwrite deals for investment and return. Remember that foundations have a “prudent man” standard for how they use their investment capital. There’s no reason whatsoever that they can’t make solidly underwritten PRIs—and good MRIs that do earn something like a market return—available with relatively little prospect of significant losses, though risk requires a tolerance of loss. All good ideas, but they shouldn’t be seen as a response to diminishing public funding, which Diana Aviv of Independent Sector cited as a factor in the increasing interest in PRIs and MRIs. Aviv called for “changing rules, if we have to” to mobilize new streams of investment capital. This past spring, the foundation affinity group on PRIs, the PRI Makers Network, merged with More for Mission, a project of the Initiative for Responsible Investment at the Hauser Center for Nonprofit Organizations at Harvard University, in order to create the Mission Investors Exchange, promoting both PRIs and MRIs. Nonetheless, foundations are still not strong in their willingness to make MRIs and PRIs. In the Foundation Center’s 2011 survey of some 1,200 typically larger foundations, only 14 percent said they held PRIs, MRIs, or a combination of the two. In fact, only 32 percent of the larger foundations in the survey (those with annual grantmaking of $10 million or more) were PRI or MRI makers. There may be some questions as to what some foundations might consider a market-related investment. So, if you pull out the foundations that said that they only made MRIs, you find that the proportion of the surveyed foundations that have done PRIs was only 11 percent. CORRECTION: An earlier version of this article stated that a merger occurred between the PRI Makers Network and the Initiative for Responsible Investment. The merger was between the PRI Makers Network and the More for Mission project of the Initiative for Responsible Investment. NPQ regrets the error.